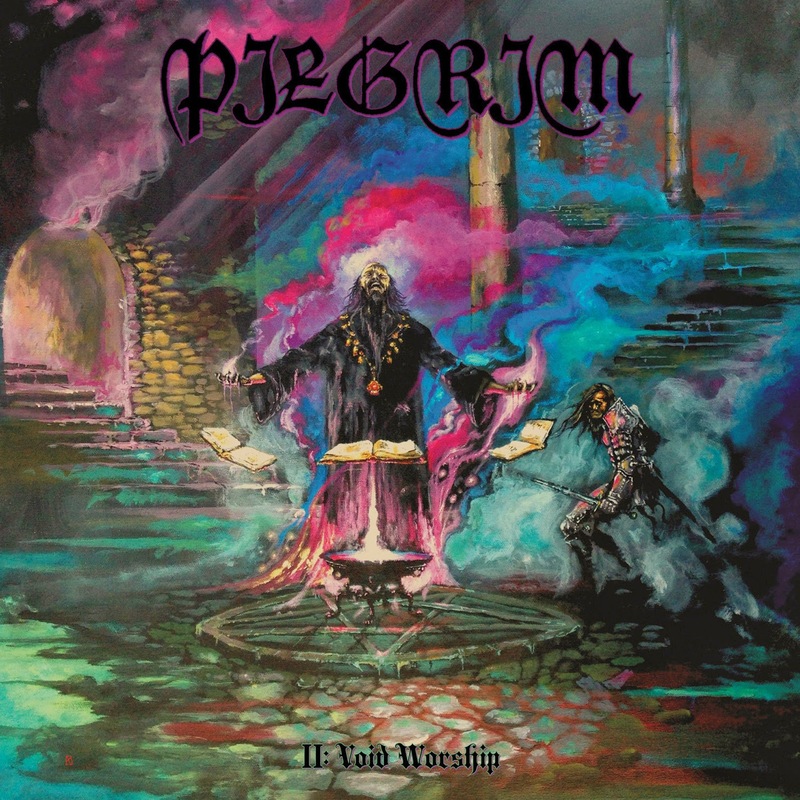 On their latest album, II: Void Worship, Pilgrim makes offerings of traditional doom metal, down-tempo, down-tuned, and down-cast. Elements of Candlemass, Black Sabbath, and Saint Vitus mix freely, the bass chords hum along with some heavy resonance, and the vocalist gives stoner doom lyrics an appropriately somber delivery for maximum '70s fidelity. The riffs are catchy, the guitarist's fingers are nimble when needed, and there's a good job done of creating the sort of thick smoky atmosphere so many of the classic albums had. At the same time, they're not rooted in recreating those old albums as much as they are in taking those vibes and channeling them into the creation of their own songs. The album fits together solidly, the songs have a good variety of styles and moods, and none of it really seems to drag on past the point of optimal efficiency. Pilgrim have crafted an album that puts in the work needed to earn its place in doom fans' music libraries, without relying on false nostalgia as a shortcut to generating buzz. Listening to the album, you can tell that the members have a genuine fondness for the music they're making, and that they know their influences by more than just name recognition. Here's hoping they'll be with us for quite a while to come, generating more high-quality heavy music.